Let’s get this out of the way early on. Also we want to clear this up to. A website is not a silver bullet that will solve all of your business’ problems. 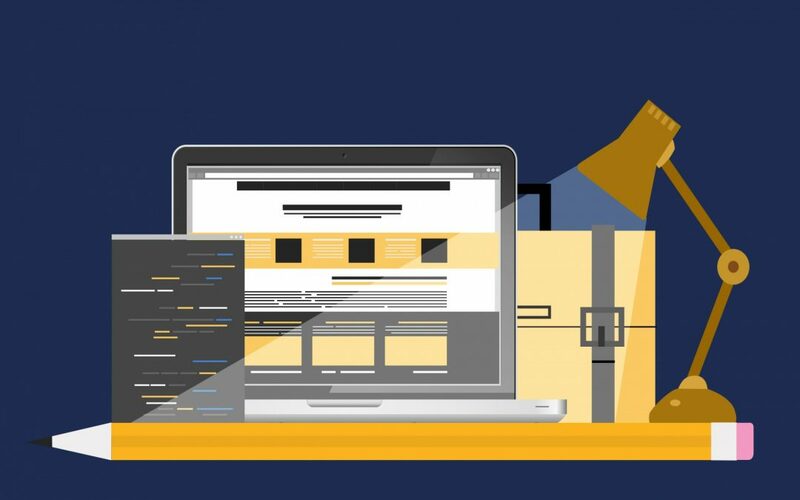 We’ve talked to a lot of Australian businesses lately and most of them say they just don’t believe the hype about websites and their transformative abilities. We always remind them that a website isn’t going to make a bad business good and more importantly that many good businesses don’t have websites. But it’s also crucial to note that even if you choose not to have a website you need to have an online presence or you risk losing potential customers. Most articles will just tell you to get a website without really saying why, the main reason is of course to generate customers for your business. As I’m sure you already know a website is not the only way to do this, even good old word of mouth still works well. There are other reasons why you would get a website and why you need to control your online presence beyond just generating customers. One of the most important of these is protecting yourself from any devious competitors. We’ve developed a list of 5 things we believe every business without a website needs to do. Read this list and put it into action, cement your position online with just a little bit of work. Google My Business (GMB) is basically a Google account for your business. It’s Google’s way of verifying that your business exists and your details are correct. Google’s real ambition here is that every business has a GMB so that all of their searchers stay on Google and don’t leave to any other websites. By pulling business information through to the search results they can shutdown the number of people going off to other websites. Knowing this you can optimise your listing to come up higher in the Google Map Results based on the things you think Google would want to be displaying to their users and searchers. These include good quality images of your business (as many as possible), reviews on your listing, correct data (phone #’s, address etc), regular posts, and preferably a physical address to pin you to. Google will say it’s because they don’t want to be leading people down dark alleys and off cliffs but really it’s because they don’t want to lead customers anywhere that isn’t on Google. So an optimised Google My Business Listing sometimes known as a Google Map Listing is crucial to your online reputation but just having one is not enough you need to put some time into it and build a strong representation of your business to really get the most benefit from it. You can now post to your GMB on a weekly basis with offers, products and services and this will be fed directly into the search results. GMB listings are ranked just like the Organic search results and the Adwords section, in the last few years the map listings are taking up increasing amounts of real estate on the Google Search Results. You need to have one of these and you need to make sure it’s updated regularly. We’ll also note here that you have to have a physical address to get a GMB. You don’t have to display the address of your business especially for mobile businesses but you do have to choose an address to have their verification postcard sent to. Many businesses are being seduced down the path of a free website, without thinking about who it really benefits. Whether it be Wix or Weebly or any of the other do-it-yourself sites, these are nothing but beautiful mirages. Sorry but… you’ve got a small business to run, and you are not an experienced web designer. You will end up spending countless hours making a website that no matter how good it looks just won’t get any visitors. You may wonder why these businesses offer free websites. It’s just a marketing strategy to lure you in and then upsell you to a paid site. By the time you’re done you will have spent a lot more than if you had have just bought a website in the first place. But what free template builders like Wix won’t tell you is: YOU DON’T EVEN HAVE A FACEBOOK PAGE YET. You can get a free, web presence by just making a Facebook page for your business. Facebook business pages rank amazingly well on Google, because they piggyback on Facebook’s monolithic web rankings. And, Facebook pages have a great format that makes it easy to share pictures of your business, special deals, and communicate with your customers. While the pages do have a lot of features and can be a little bit tricky to fully optimise they can be managed from your personal Facebook login so they are pretty easy to manage once they’re up and running. Regardless of your personal feelings about Facebook your business needs a profile. If you aren’t already now is the time to start putting Facebook to work and making some money. Now that you’ve setup the two pillars of your online presence and reputation the next step is to get those validated and approved by your community and the customers you have served. You need to build trust. Businesses build trust in the real world through face to face contact and providing quality service. Online it’s a little bit twisted. Obviously most people can’t really talk to you face to face and nor can they know about your service without using you first. So the online business has developed the online review to deal with this trust process. These reviews work much like word of mouth except rather than someone telling just their friends and families they post their review online where everyone can see it and recommend your business to the whole world. Obviously only people interested in your service will be reading your reviews but absolutely anyone could access them. How do you get reviews for your business? Well there’s a few ways to do it. One is to encourage customers to post them by asking them, emailing them, sending them a link to your GMB or Facebook. Another is to use a reputation management tool like this one. Regardless of how you choose to do it. It needs to be done because 80% of people now trust online reviews as much as their friends and family. I know that sounds crazy but it’s true. People trust reviews online a lot and they judge businesses based on their reviews every day, restaurants, hotels, phone brands, plumbers, everything. Not having reviews is just as bad as having bad reviews. Currently 67% of consumers don’t trust a business without a website but 68% of them said that reviews make them trust a business, and 51% said they would definitely choose a local business if it had reviews online. This 2016 Harvard paper finds, most generally, that a one-percent increase in Yelp ratings corresponds to a 5-9% increase in total business revenue for restaurants. That’s a dramatic factor, especially considering that Yelp is just one of the many review platforms on the web. 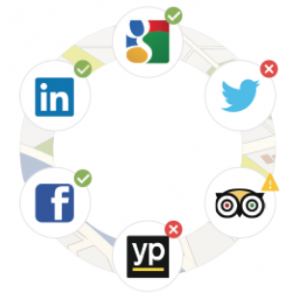 There’s Google, Facebook, Yelp, TripAdviser, Twitter, Trustpilot, Choice, Yahoo! 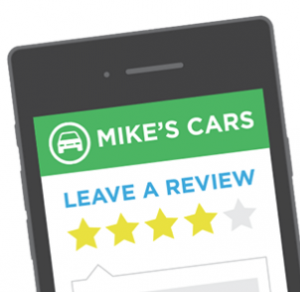 Local Listings and a list-that-unrolls-to-the-ground of other online review platforms. Unfortunately, it’s often the same businesses who don’t have websites that also don’t have online reviews. Or worse you could have bad reviews for your business that you don’t even know about. Find all your business listings today and take control. You would be familiar with directory listings from the Yellow Pages days. These days things have become a bit more complex. While most online directories have a free listing option you have to pay many of them to get the rewards these listings entail. However, the benefits of having accurate free listings across multiple sites is well worth it for your business. Firstly, having accurate information across the web means that none of the calls or emails to your business go missing. Secondly, your business is more likely to come up in Google search results if your details are matching and accurate across multiple platforms. Google considers consistent results as evidence that the business is legitimate and also professional in their conduct. In many ways Google My Business and Facebook are directory listings, they’re just the biggest ones. But depending on your type of business there’s many other types of listings out there that you can get for free that will help you establish and cement your online presence and reputation. Yous should see these listings as free advertising and if you aren’t going to have a website then you need to do everything you can to protect your online reputation and make sure you are found online by your customers. You will be surprised how much a little change like that can make to your business. We’ve had a surprising number of customers who have bought professional websites and emails at the same time and after a few years turned the websites off but kept the emails running. Emails can become the lifeblood of a business, turning them off can be equivalent to killing the business. If you’ve got all of these 5 points in place then all that’s left is to keep managing them and carry on delivering the same brilliant service you are known for. It is worth blocking out a few hours each week to deal with all of these things and make sure you are on top of your online reputation.